The New Orleans Concert Band was founded in 1975 by Peter Dombourian, who was a band director in the New Orleans public school system for over 30 years, and was conductor of the New Orleans Concert Band for over 15 years. Upon the death of Mr. Dombourian, the band came under the direction of Milton Bush, former Director of Bands at the University of New Orleans. In 1998, Dr. Richard Dugger, the then current Director of Bands at UNO, was appointed as Conductor of the band, and Mr. Bush became Conductor Emeritus. Dr. Dugger remained Conductor until 2001, when he left New Orleans. In 2002, Charles L. Taylor was selected from several applicants through audition to be the new Conductor of the New Orleans Concert Band. Mr. Taylor is also Director of Bands and Coordinator of Music Education at the University of New Orleans. Throughout the years, the band's membership has grown from about 50 members to the current 68 members. The band is composed of adult musicians from all walks of life, who have music as an avocation. The community band is a natural outgrowth of successful school band programs. Students who have a love for music find they can continue this passion in their adult years, and it is a source of personal pride as well as community service. The New Orleans Concert Band is one of hundreds of community bands throughout the nation, and it follows in one of New Orleans oldest traditions, of free public concerts by volunteer musicians, which has occurred here for over a hundred years. Although community bands vary widely in ability, the New Orleans Concert Band performs music of very high quality, and in a state that boasts close to 15 community bands, we feel it is the premiere community band in the state. Throughout the years the band has supported itself in various endeavors through its membership dues, donations from individual supporters, and through gifts of various instruments and grants through such organizations as the Rotary Clubs, Kiwanis Clubs, Allstate Insurance, Exxon Corporation, and others. The band has premiered two pieces of major wind ensemble (band) literature. The first was commissioned in 1990 from composer Loris Chobanion entitled "Songs of Ararat" in honor of the band's founder and first conductor, Peter Dombourian, and was funded entirely by donations. The second was commissioned by the NOCB in 2001 from Louisiana native Julie Giroux, and is entitled "Louisiana Parish Sketches." The piece was funded by a grant from the Louisiana Decentralized Arts Funding Program, and individual donations. The band premiered the composition at the Association of Concert Bands' Annual Convention in Pensacola, Florida, in April of 2001. Musica Propria Publishers has published this piece. During the early years, the New Orleans Concert Band played a Christmas Concert and a Spring Concert. Since it's inception in 1976, the band has played a concert for underprivileged children and their parents in conjunction with the Times Picayune’s Doll and Toy Distribution at Christmas. The NOCB presently plays concerts for Veteran's Day, a Christmas concert, the concert for the Times Picayune Doll and Toy Distribution, a mid spring "Pops" concert, a concert in late spring, and for the last several years, the band has played just before the fireworks for the "Uncle Sam Jam" at Lafreniere Park in Metairie on July 3, and for many years "Go Fourth on the River" at Woldenberg Park in New Orleans on July 4, plus other concerts as the occasion arises. The band has performed for the World's Fair in Vancouver, the 1984 New Orleans World's Fair, the opening of the King Tut Exhibit at the New Orleans Museum of Art, the opening of the Butterfly Exhibit at the Audubon Zoo, the Mother's Day Concert at the Audubon Zoo, the French Quarter Festival, the Southern Division of the College Band Directors National Association during their annual conference in 1988 and before the Louisiana Music Educators Association (LMEA) during their annual convention held November 1999 in Baton Rouge, Louisiana. In 2001, we presented a concert before our peers at the 2001 annual national convention of Association of Concert Bands held in Pensacola, Florida. In 2009 we were invited once again to perform at the annual convention held in Houston, Tx. All of the band's concerts are free and open to the public. Peter Dombourian, a Fortier High School graduate of 1937, returned to his Alma Mater as band director in 1947. 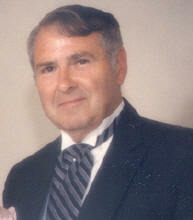 Peter Dombourian served as band director at Fortier from 1947 to 1970. He quickly established a reputation for excellence. Students from throughout metro New Orleans sought out of district permits to attend Fortier High School because of the music program that a Peter Dombourian had established. It was quite an honor to play in the Fortier High School Senior Band. A close bond started with Peter Dombourian during my high school days and it developed into a lifelong friendship of our two families. The idea of a community concert band actually began in the early '60's upon my realization that for many, after playing in a college band that no other concert band options were available. For many years, it was suggested to Peter Dombourian (Domboorajian original spelling) that there was a real need for adult community concert band, however it was not until September 1975 that we made a serious effort to investigate the possibility of forming a brass, woodwind and percussion ensemble. Peter called me one afternoon and said, “Ray, I think you have a good idea. Lets do it” Our thoughts were to reincarnate the Fortier Band as we once knew it, even to the extent to gaining access to Fortier High School Band Room for a rehearsal location. This idea was fostered from the thought that the secret to “THE SOUND” so unique to Peter Dombourian’s bands was due partly to the acoustics of the Band Room 400 at Fortier High School. This idea was not successful. However, it was a blessing in disguise. Because of Peter Dombourian’s long association with Milton Bush, then Director of Bands at UNO, arrangements were made by Milton Bush that has allowed NOCB the use of the UNO Band Room each Tuesday evening to rehearse. The band is greatly in debt to Milton Bush and now Chuck Taylor & UNO for this privilege. On October 5, 1975 a meeting was held at which several other former Fortier band members attended. Fortier graduation programs were reviewed in an effort to pick out former Fortier Band members. A mailing list was prepared and a letter was written to those identified as band members. In addition, numerous follow-up personal calls were made to invite individuals to attend a rehearsal in the UNO Band Room on Tuesday, October 21, 1975. Forty-two (42) eager musicians attended this first rehearsal. Eight weeks later, the first performance of the New Orleans Concert Band was held on December 16, 1975 at the McMain Middle School Auditorium. The band that night was made up of 52 musicians. McMain was chosen because it was always the location of Fortier Band Concerts. Program selections on this first concert were all previously performed by Peter Dombourian’s and the Fortier Band when he was conductor at Fortier High School. Most typical were numbers such as Bravura March, Holst 1st Suite in E, Sleigh Ride, and another Dombourian tradition which began in 1952 of closing his Christmas concerts with Leroy Anderson’s A Christmas Festival. Charter Members remaining in today’s band are: Gerald Cohen, Alex Tiliakos and Ray cook. The New Orleans Concert Band was incorporated on August 18, 1977 as a non-profit corporation. The band became a member of the Association of Concert Bands of America, Inc. in December 1978. In the beginning, there were no funds, however there were several who contributed their time and talents to insure the band’s long term success in various ways that made it possible for the band to exist and continue its progress. Such names as Calvin McBride, (Deceased) City Attorney and a Fortier graduate of 1951--trumpet, who played and acted as our legal advisor to complete the incorporation. Milton Bush, whose influence has provided the band a rehearsal hall for these 30+ years, playing trombone in addition to serving as assistant during Peter's lifetime and assuming the position of full time director upon Peter's death. Ed Barnhart contributed time and his many talents in numerous needed activities including building music storage racks, establishing a filing system for the band’s music library and the restoring and refinishing of forty-two (42) much needed music stands. Ed Barnhart, one of the founding members of the band passed away in 2008. Ray Cook kindly consented to write a few words about Ed. He will be missed. several committees that helped to assure the band's continued progress. He led by example. Several years thereafter, he served as band treasurer. Within several weeks after the first concert, Peter located fifty severely damaged music stands that were acquired for a minimal charge. With Ed's volunteer assistance, the stands were transported to St. Matthew UCC, for a time to be restored to "Like New" condition. For two months, at his home, Ed knocked the dents out of all of the tops that could be saved and returned them to the church and 42 Hamilton stands were spray-painted and labeled NOCB. With Ed's assistance the music stands were moved to UNO Band Room and used for fifteen-plus years. When percussion equipment was acquired, Ed arranged for storage at his Lake Vista United Methodist Church. For the first several years, Ed arranged for the rental, drove and moved all stands and percussion equipment for all band engagements. With a developing music library, Ed assisted in acquiring and hand delivered most of, if not all of the file cabinets for the NOCB music library. Ed was usually the first person at rehearsal. He opened the band room and would set up the music folders. He arranged to have two music folder storage racks built and placed in the UNO Band room. The cabinets resembled those that Peter Dombourian had at Fortier High School. They were used until space was reduced due to construction of the recording studio in the late '90's. By 1977, UNO instituted a sticker parking permit requirement. Ed negotiated with UNO Security for what was a reduced nighttime parking permit. For several years he would collect a fee from band members and issue them parking sticker permits. And each Tuesday night, Ed would call the UNO physical plant before rehearsal time to remind them to provide heat or cooling from the central plant. He worked hand and hand with many different personalities without ever a an unkind word. He was a very rare individual. A great deal of the early success and foundation of the New Orleans Concert Band is due in large part to the generous contributions of Ed's time and many talents. He stepped forward and his leadership was much appreciated in getting the fledgling band started in the right direction. When age and declining health problems prevented Ed from performing at his best, he quietly moved down to a lower stand. In September of 2006, he informed the director, Dr. Charles Taylor that he would regrettably reduce his playing participation with the band. Ed was not known to look for or ask for accolades, but it is important for all to be informed of his dedication and contributions to the New Orleans Concert Band.